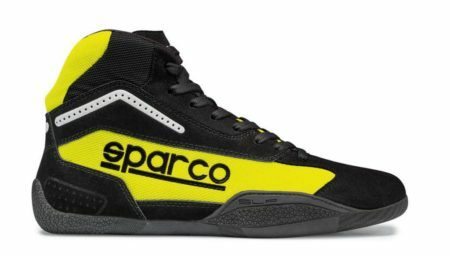 The Sparco Gamma KB-4 karting boot is a top-class, robust boot in both adult and children’s sizes. The boot’s construction is from suede with the combination of a climate-neutral 3D mesh. The inner sole has been pre-formed to ensure a perfect fit for the karter. The KB-4’s sole is made from an innovative rubber compound, meaning it offers maximum grip, even in wet conditions.